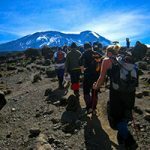 Climbing Mount Kilimanjaro in Tanzania is already a once in a life time experience but while you are there, why not consider adding a few more days to your trip by visiting the most intriguing National Parks of Tanzania? 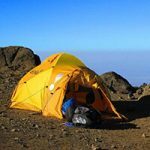 Tanzania offers some of the best safaris in Africa and with us you can add this unforgettable expeience of the African wildlife and culture to your climb of Kili. 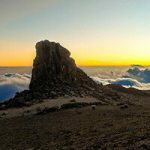 Tanzania is home to over 15 amazing National Parks. 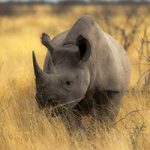 We can cater for all of them, however, from our own personal experiences we recommend 5 National Parks that can realise all the dreams and expectations of an African safari and meet the ‘Big Five’. 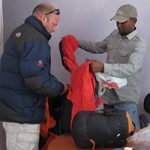 All of KCC’s safaris are tailor-made. You have your own 4×4 vehicle, your own guide and can create your own safari adventure. No shared mini-buses, no having to fit in with someone else’s plans. Spoil yourself and do it your way. KCC Ltd offers private safaris with one to five day itineraries. We would be glad to work with you in extending your stay in Tanzania. 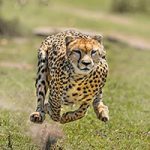 Our safaris include accommodations in lodges and permanent tented camps, strategically located in the heart of the action in Serengeti National Park and in Karatu, an ideal base for excursions into Ngorongoro Crater, Lake Eyasi and Lake Manyara. Below are our safari itineraries, descriptions of the main parks, and accomodations. 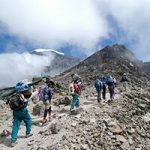 Our safaris begin around 8AM on day one when you will be picked up from your lodge in Arusha.. Our safaris are private; we do not operate group safaris. You decide what you want to see and for how long. You can depart on any day, for any period of time from one to five days. 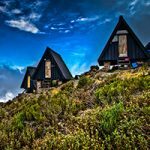 Our three day itinerary is the most popular choice amongst our clients. 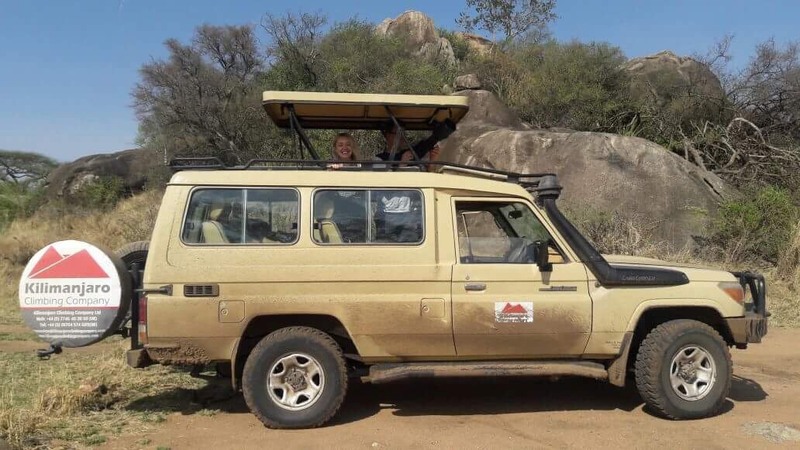 For our safaris we use four wheel drive Toyota Land Cruisers – the standard for safaris in Africa. Comfortably seating up to six passengers, our well maintained vehicles with custom pop up roofs offer the best game viewing experience. 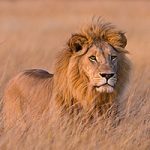 The well-established ‘Northern Circuit’ safari of northern Tanzania offers some of the world’s most diverse safari experiences, consisting of National Parks, game reserves, conservation areas and private concessions. 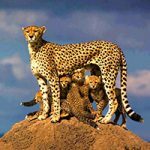 Among these are the world-famous and iconic Serengeti National Park and Ngorongoro Crater, and of course their less well-known neighbours, Tarangire National Park and Lake Manyara National Park. These parks exist for one general purpose and that is to protect the amazing variety and abundance of wildlife in them, both resident and seasonal – and most of all, the world’s largest annual migration of wildebeest and zebra. Although this part of the world has become increasingly busy as a result of its reputation, it is still possible to escape the crowds and find a quiet corner if you know where to go. 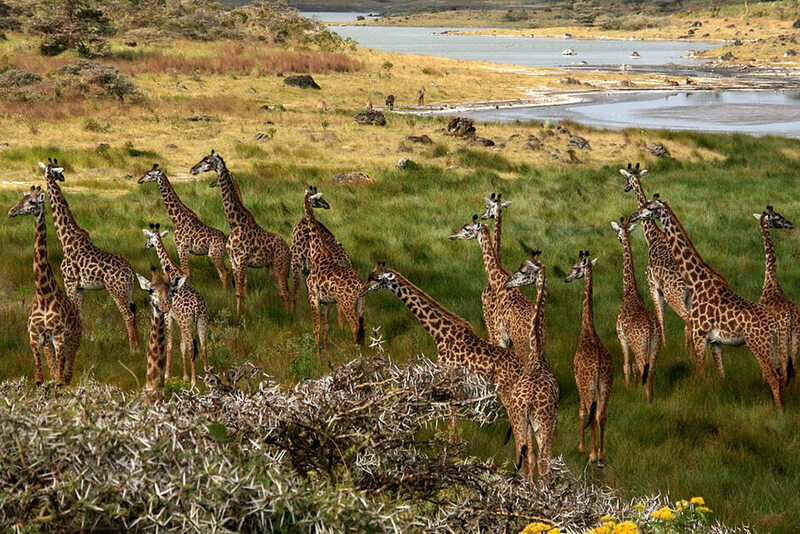 Being the closest national park to Arusha town – northern Tanzania’s safari capital – Arusha National Park is a multi-faceted jewel is often overlooked by safarigoers, despite offering the opportunity to explore a beguiling diversity of habitats within a day trip. The entrance gate leads into shadowy montane forest inhabited by inquisitive blue monkeys and colourful turacos and trogons – the only place on the northern safari circuit where the acrobatic black-and-white colobus monkey is easily seen. In the midst of the forest stands the spectacular Ngurdoto Crater, whose steep, rocky cliffs enclose a wide marshy fl oor dotted with herds of buffalo and warthog. 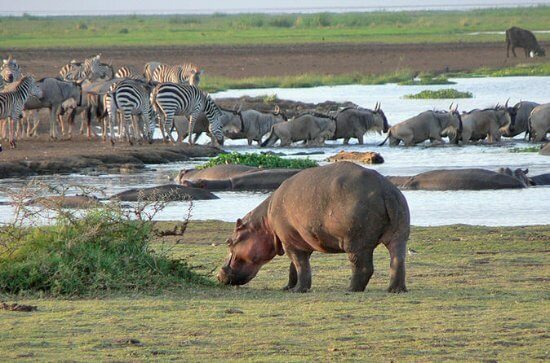 Lake Manyara is one of Tanzania’s smallest and most underrated parks. Stretching for 50km along the base of the rusty-gold 600-metre high Rift Valley escarpment, Lake Manyara is a scenic gem. The Rift valley forms the park’s western border and to the east is the alkaline Lake Manyara, which covers one-third of the parks 648 square-kilometers. During the rains the lake hosts millions of flamingos and a diversity of other birdlife. Lake Manyrara’s diverse has a diverse vegetation and it supports one of the high biomass densities of large mammals in the world. Tarangire is the surprise package on the Northern circuit. 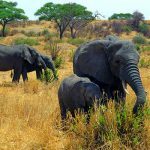 Often overshadowed by the Serengeti and the Ngorongoro Crater, Tarangire has immense concentrations of game in the peak months and a fraction of the visitors that go to any of the other Northern parks. The game viewing here from July through to October is superb and the atmosphere and habitat is completely different from the other parks. 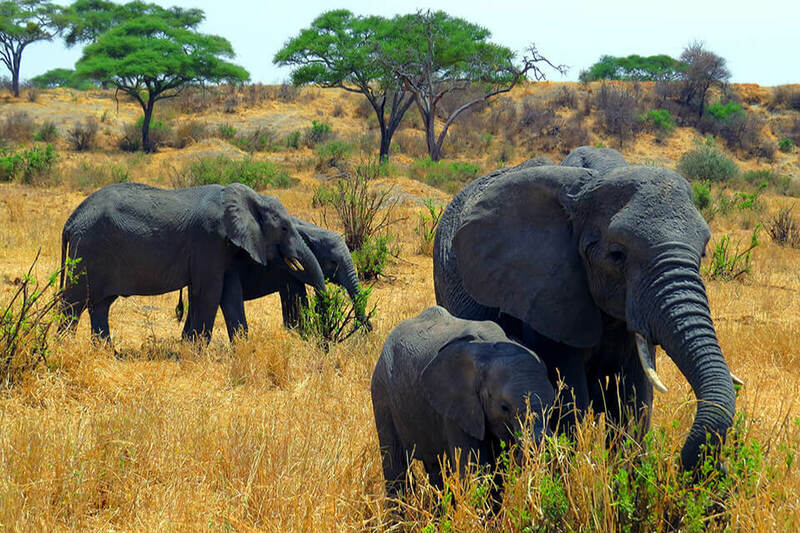 Tarangire is surprisingly large giving visitors the quietest game viewing environment of all the parks in the region. The South of Tarangire, is especially quiet. Overall, a superb little park that offers great value compared to its neighbours and a seriously good option for getting away from it all. A trip to Northern Tanzania has to include the Ngorongoro, it is an exceptional place to interact with the Masaai and is one of the most beautiful natural wildlife safari sites in the world. The Ngorongoro Crater and surrounding highlands are one of Africa’s most beautiful regions. Volcanic craters form stunning backdrops to some of the richest grazing grounds in Africa. 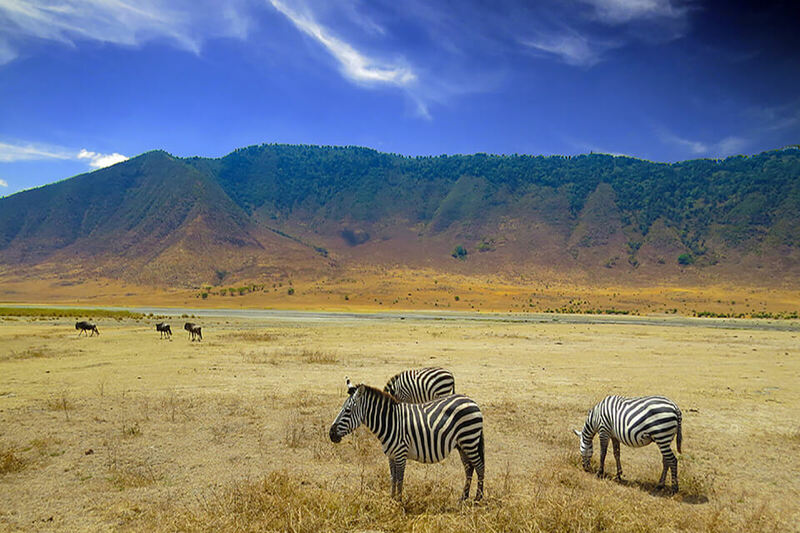 The most famous is without question the Ngorongoro Crater, the world’s largest intact volcanic caldera; home to the highest density of big game in Africa. With 600 metre high walls and a rich volcanic floor that plays host to the big five, the Ngorongoro is one of the continent’s most famous safari destinations. Tanzania’s oldest and most popular national park, the Serengeti is famed for its annual migration, when some six million hooves pound the open plains, as more than 200.000 zebra and 300.000 Thomson’s gazelle join the wildebeest’s trek for fresh grazing. 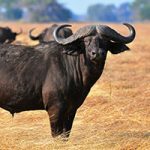 Yet even when the migration is quiet, the Serengeti offers arguably the most scintillating game-viewing in Africa: great herds of buffalo, smaller groups of elephant and giraffe, and thousands upon thousands of eland, topi, kongoni, impala and Grant’s gazelle. Basically there is no bad time to go on safari in Tanzania. Whenever you go you will see fantastic wildlife. 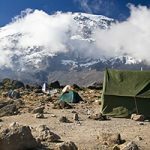 Like climbing Mt Kilimanjaro, when the weather is kindest it can get crowded but if you can go a little off-peak and cope with the occasional shower you will find quiet parks and amazing viewing. This is the summer season in Tanzania. Temperatures are pleasant with an average high of 28°C and an average low of 15°C. The rains from early November to late March are usually scattered and localised and do not last for more than a few hours. 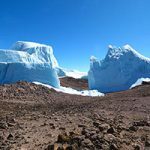 All in all the conditions for safaris could not be better. 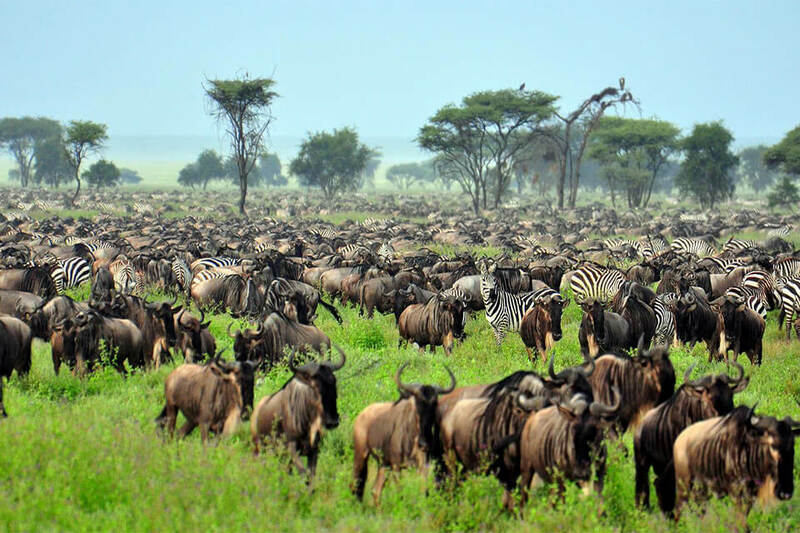 The wildebeest are in the southern Serengeti making this a perfect time to catch the migration. There is a chance of heavy rain during this period and showers can be expected for a few hours most days. Particularly during April and May the parks are fairly empty and accommodation costs are often quite a bit lower. However, this time actually offers the finest game viewing opportunities of the year. Wildlife concentrations are at their highest in the Southern Serengeti, and the landscape is a lush green. The weather during this time is usually dry and sunny, although October to December brings the short rains to Tanzania. The grass dies back and more and more animals congregate around the permanent sources of water making them easier to find. Visitor numbers (and prices) peak in August coinciding with holidays in the Northern Hemisphere. The annual migration of giant herds of grazers across northern Tanzania and Kenya is a truly spectacular event. Over two million wildebeest, zebras and gazelles move through the Serengeti and Masai Mara ecosystems in search of green pasture, in a regular pattern. This is surely one of the greatest wonders of the natural world. This impressive phenomenon is driven by the availability of grazing, which in turn is dependent upon rainfall. Essentially the wildebeest are taking advantage of the strongly seasonal conditions, spending the wet season on the plains in the south-east, and the dry season in the woodlands of the north-west.